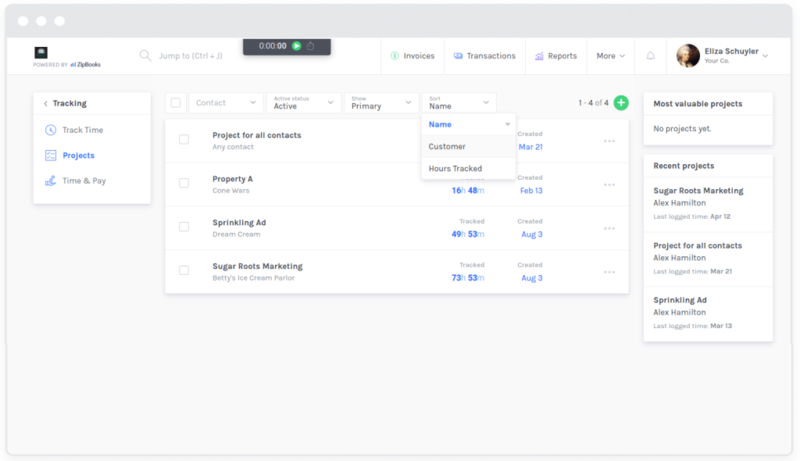 When you have a long list of projects or tasks, ZipBooks makes it easy to narrow down the list, to more easily find the ones you’re looking for. Sign in to ZipBooks and click on Tracking in the box on the left. You can also choose to sort categories by Name, Customer or Hours Tracked.